Keeping the music completely open or introducing collectively composed elements, the dialogue between Michael Thieke and Luigi Marino stems from improvisation and the most hidden details of sound: subtle metal resonances, breath before it turns into a note inside a clarinet, electronic sounds generated by a 9v battery and projected by the vibrations of the instruments themselves. Sounds barely audible emerge from the background to take a predominant role, depicting abstract suspended landscapes, or turning into simple melodies and rhythms. Quietly, nothing is out of reach. 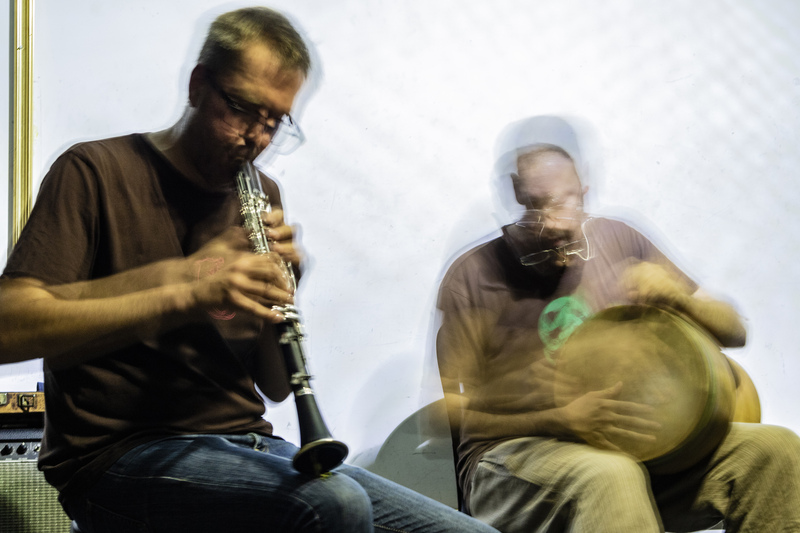 The duo Thieke/Marino started in Berlin in 2016, and they have since presented their music in Germany, UK, Italy, Netherlands, Austria, Czech Republic, Switzerland, playing in cult venues such as Sacred Realism (Berlin) and Rhiz (Vienna), or established series like Interpenetration (Graz) and WIM (Zurich).